TedWomen 2016 reminded me how incomparable hope can exist within a person. TED conferences are many things. They are universally inspiring, inciting us to think in a new way. They can also be heartbreaking, challenging our pre-conceived notions of reality. When watching consecutive TED talks, one enters into a snow globe: one moment we’re laughing and the next a flip of perspective that somersaults everything we thought we knew upside down. TedWomen 2016 reminded us how incomparable hope and unprecedented despair can exist within a person — sometimes as little as a moment apart. Empowerment met failure, progress met antiquated ideology, and the philosophical shared a stage with the scientific. Read on for 10 Things learned at this year’s conference. 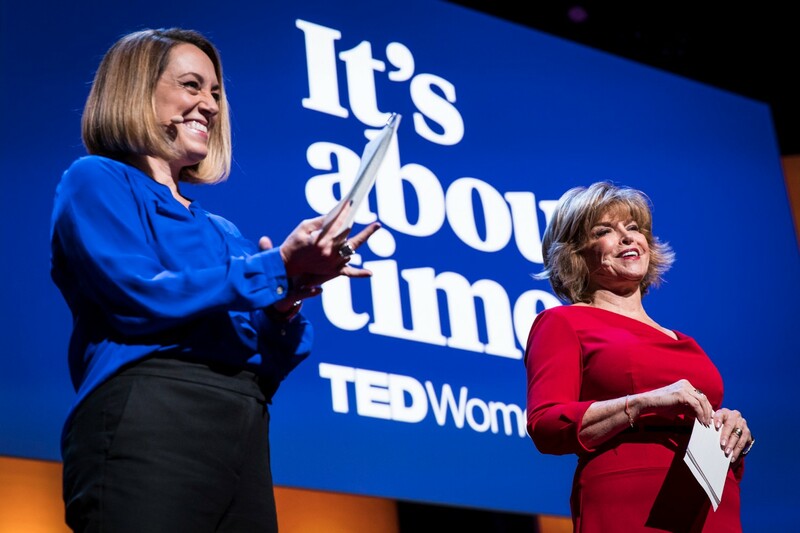 The theme of TEDWomen this year was “It’s About Time”, and speaker Linda Sivertsen reminded us that while “I don’t have time” may be a convenient excuse for something we don’t want to do, it’s not an honest answer. If we think about the things we make time for it becomes clear that there is always time for what we love, need, and desire in life. Thousands of terminally ill children die each year in less than comfortable situations. Kathy Hull decided to change that and founded the first freestanding children’s hospice in the US. She shared that while we can’t control how long any of us lives, we can control the spaces we create to spend our final days on our journey. Her talk encourages us to think about the environment we want to create for our loved ones as they pass and for ourselves when it is our time. TED conferences are comprised of a select group of thought-leaders, scholars, entrepreneurs and executives with an impressive pedigree of achievements –which makes for a fascinating short-term live study about human behavior and success. One secret to success was blatantly evident during this event: maximizing time is key. I saw incredible meetings happen in less than two minutes because the respective parties were direct and succinct. Numerous people (including myself) opted to fly Surf Air (a membership based airline in California) that can dramatically cut travel time and I was introduced to more than one virtual assistant. This sociological case study gave insight in how to maximize potential and success, while minimizing stress, wasted time, and money. Tiq Milan is a brilliant speaker. In fact, part of his job as a spokesperson for GLAAD is to inspire audiences through his personal experiences and views on equality, progress and peace. Tiq spoke with his wife Kim about the misconceptions of the lives of the LGBTQ communities, but what made many cry was the commitment to love that he as a transgender man and she as a queer woman share. “Our relationship,”Tiq pronounced, “has always been about setting each other free.” Watch their talk here. The San Francisco Gay Chorus sang a song that had nearly a thousand of us clapping and dancing and crying. They debuted the riveting song “My My Mississippi”, which focuses on the LGBTQ community and their experience in Mississippi. Tena Clark, the accomplished music producer who created the song, wrote it as a way to respond to the harmful “license to discriminate” bill HB 1523 being signed into Mississippi law by Governor Phil Bryant. Ashley Judd’s gripping talk about online gender violence will be discussed for years to come. She cautioned that when we let traumatic events pass without addressing them, the suffering can turn into violence and lead to hurting other people. She offered solutions to the plight of online bullying and asked us all to take responsibility in ending it. If you haven’t yet heard of her, you can expect to. A British icon, her quick wit, high intelligence, and deft public speaking had the audience roaring with a standing ovation. Besides being everyone’s new favorite speaker, she is also responsible for the co-creation of the UK Women’s Equality Party and an inspiring political activist. Watch her talk here. One thing we should all think about but don’t, according to Erika Gregory, the Director of Nuclear Nonproliferation Initiative N Square, is the threat of nuclear weapons. She cautioned the audience to lead the next generation in taking responsibility for a date to get rid of the existence of nuclear weapons as well as the materials they are made of. For more on TEDWomen 2016, visit the TED Blog.